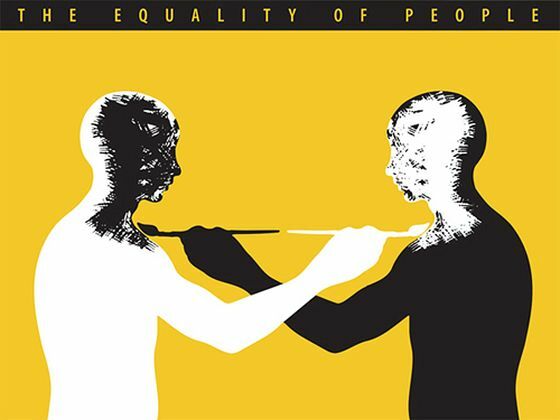 Cedomir Kostovic, The equality of people, 1989 Cedomir Kostovic is a world renowned designer, widely recognized for his social and political commentary through poster design. With 25+ years of being a pillar and beloved professor of the graphic design and illustration program at Missouri State University, Cedomir Kostovic is close to retirement. To celebrate, his former students are organizing CEDO25+, a retrospective of Cedo's work plus new work by his alumni. The organizers are Lucas Roy, Adam Bowlin and Aimee Pong and they plan an exhibition from October 18 – 27, 2017 at Missouri State University, Springfield MO (US), a book and catalogue with contributions from Cedomir's friends and a poster sale. Submissions will begin May 20. Read more and browse Cedomir Kostovic's website.